Strangerbot will try to match you with interesting people in telegram messenger. Hi..i have a similar problem..i was chatting whit a person and he sand me my ID whit a message after that I have sand him a photo. But I can’t see his ID after that he sand me his pic. Where you see the ID. I don’t see it anywhere.! Me and some friends of mine had a problem with strangerbot who’s not responding. I tried to /start again, /end, also /help but commands do not respond. Maybe it’s a bug from Telegram. Hi Uskalowklo, still having the problem? Hi Elliott, do you still have this issue? Sometimes Bot Servers go down, and for some minutes/hours it does not work. 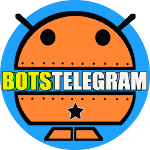 Telegram Bots are a young product, they will go better little by little for sure. But there is no response whenever I click on /start or another properties . in my phone stranger bot doesn’t work. Hi! This morning i had a problem… I was chatting whit a girl, same age, city nearby mine… But the bot stopped working and i was unable to ask her a contact… Is there a way to know the id? Hi, me and my friends had a problem whit stragerbot who is not responding and nothing happend when i try to fix it . five days that are not working. I ve tried to restart the bot but it was useless. 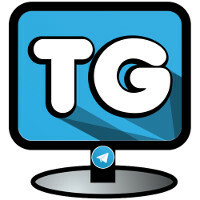 Anyway telegram is great app, and i think it will be better in future! I wait yours reply soon. Doesn’t work. write start and never contact. Hi, its second day the strangerbot not responding any commands. I tried all these 2 days, wrote /start, /end . But its useless. What should i do ? thanks. I don’t have twitter, cuold you please contact the bot creator for me? it will be possible in the future to set a personal profile? Like gender, age, location…. something like that? This bot isn’t working anymore. It is two days I’m trying to use it, but when I type”/start” it doesn’t reply. Please, tell me if the developer is going to fix it. hi i’m using strangerbot but by some day it isn’t work: i write /start but it doesn’t start. why? 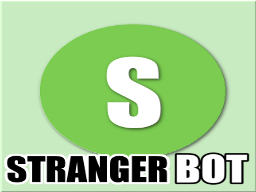 This bot exists also on Facebook, just search StrangersBot page and you will get it and play without need to install telegram..